Last month we ran a poll echoing the immortal words of Detective "Dirty" Harry Callaghan as we asked the nation "Do you feel lucky? "And the answer was a resounding yes; three quarters of Britons consider themselves "lucky" with Bristol, Edinburgh and Truro topping the list as the luckiest-feeling cities in Britain. As part of our research we polled people from all across Britain and asked them about luck and which areas of their lives where they feel luck has played a part. Top responses included "job hunting", "finding love" and "driving tests". Topping the lucky charts were Bristol, Edinburgh and Truro who considered themselves to be the luckiest out of all other British cities. Overall we polled a total of 2,948 people aged 18 and over from all over the UK, evenly split between men and women to ensure unbiased results. First we asked whether or not they believed in luck. The response was a resounding yes with 93% of participants believing in luck and 75% considering themselves to be lucky. This response didn't prove to be quite as big a revelation to us, however, since we had already conducted a similar survey asking how superstitious are Britons? In this poll, while the majority of Britons didn't want to admit to being superstitious their behaviour tended to contradict their rational affirmations. There's also a cultural factor at play – since the Enlightenment, through the Victorian era and beyond, banishing superstition has been a core principal of Britishness. Therefore while superstitious beliefs continue to thrive openly declaring oneself to be superstitious is tantamount to saying you're somehow "backward" or "irrational". Luck, on the other hand, comes with no such stigma attached. Quite the opposite, in fact; nobody wants to be considered superstitious, but everyone would like to be thought of as lucky. We also asked participants to rank, from zero to five, how lucky they felt in each scenario where zero corresponded to "not lucky at all" and five was considered "extremely lucky" providing each participant with a score out of 100. The lowest luck scores were for Belfast (21/100) and York (16/100). Is there such a thing as luck or do we make our own luck in this world? It's not easy to be objective about such things. Whilst many would argue that in order to accomplish anything of real value in this life we need to work hard, our study shows that as a nation, UK residents are still firm believers that luck plays a large part in the paths our lives will ultimately take. Whilst it may be easier to think that landing a fantastic job role or meeting a great partner has been down to luck on our side, this may be down to how modest the UK is as a nation, and it's easier to put a great achievement down to luck than to admit that we worked really hard or ultimately deserved something. 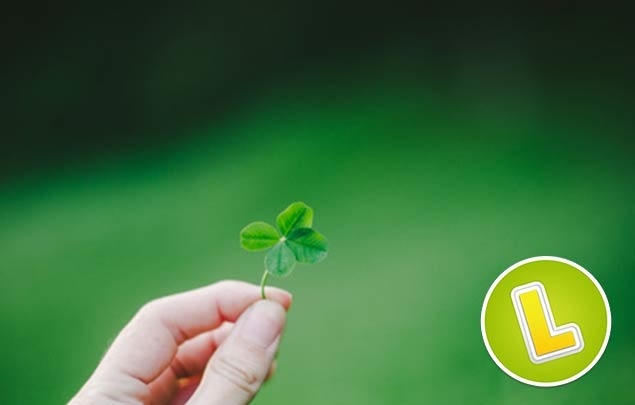 Put Your Luck To The Test With A Lotto Bet! So, do you feel lucky? Then put it to the test and try out one of the lottery bets on offer from Lottoland today. Our highest jackpot overall is for Friday's EuroJackpot draw, worth a massive £45 million. 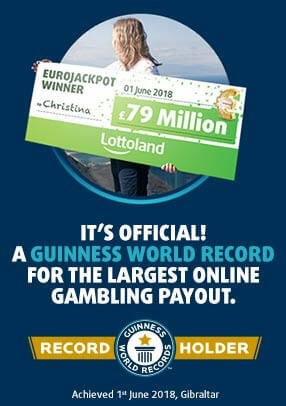 Bet today and you could win this amazing jackpot! How Rich Is The Queen - Really?